Pop music is a funny genre. One minute what’s popular can be the most bubblegum-based boy band you’ve ever heard, the next it can be the hot, new country music sensation belting out a tune about her cheating ex-boyfriend. Today’s artists defined the pop charts for a while but their sound was from all the way around the world—literally. Daniel Jones placed an advertisement in the Brisbane, Australia newspaper Time Off seeking a vocalist back in 1993. He’d formed a four-piece group with his brothers, but were looking for the fifth piece and most important, a vocalist. Darren Hayes was studying down under and was the only person to respond to the ad. The band, then known as Red Edge toured along the Gold Coast—but two of them had bigger aspirations. Starting to write their own material, Jones and Hayes broke apart from the band in 1994. Needing a name, the borrowed from Anne Rice’s ‘The Vampire Chronicles’ in which there is a passage, “Beauty was a Savage Garden” and Savage Garden was born. In May of 1996, they threw out a debut single which was a huge hit in Australia. They received the ARIA Award for Breakthrough Artist and the world started taking notice. Columbia Records in U.S. signed Savage Garden and began generating a marketing plan to get them over to the states. 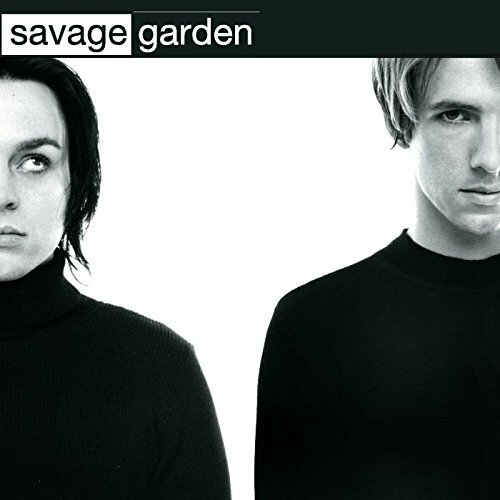 The debut full-length album Savage Garden was released in March of 1997. The album was an immediate success, number one on the Aussie charts for 19 weeks straight and went gold in the states within a month. Backed by the mega-single “Truly Madly Deeply,” the band was in constant rotation on the radio, MTV and virtually every other outlet in which music can be heard. The interest was worldwide, because the sound was universal. They had a big ‘80s U.K. pop influence from a sound perspective, but their writing was very Tears for Fears style, with a Cure styled guitar tone. As of current day, the album is almost at 15 million copies sold worldwide, quite a breakthrough for an Australia pop group. They ended up winning 10 ARIA Awards in 1997, which remains a record to this day. The 1998 awards brought two more wins for this album, making it 12 total for one release. In 2010, the album was listed in the Top 40 of the 100 Best Australian Albums of all time—some very high praise. This is a tough one to define. While I admit to not being the biggest fan of pop music, and this album was incredibly overplayed back in the late ‘90s, coming back to it today has been a nice surprise. I’ve definitely never listened to the album in its entirety and it’s deeper than I would have guessed, with the majority of the songs having single potential. If you still can’t listen to ‘Truly Madly Deeply’ after hearing it seven million times 20 years ago, the rest of the album is very different. I would argue it’s the only true ballad on the record. Vocally, it’s very unique, you would immediately know it’s Savage Garden – which is nice. And the melodies are undeniable and catchy. This is really a light, easy listen—maybe lacking the overall vision of a savvy veteran duo, but for a first album, it’s easy to understand why it was so popular. Things ended abruptly and poorly for the band in 2001. In 2007 Hayes was asked about a possible reunion and he stated, “No, never. I once said I’d only do it if it cured cancer, and that’s still how I feel.” So, enjoy the oldies today for the low price of $5 bucks. No new projects coming soon. Ha! Great video. Thanks for sharing Chet!